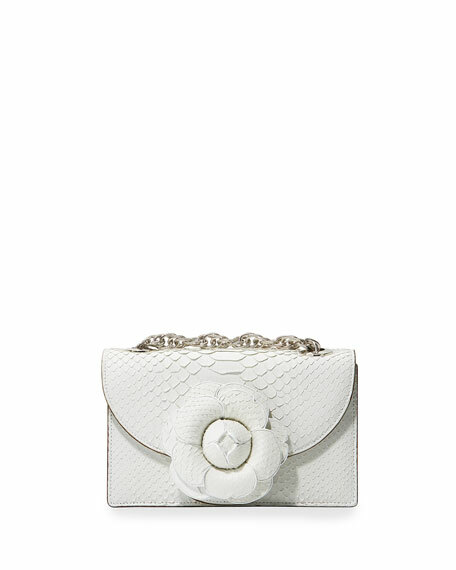 Oscar de la Renta python snakeskin bag with gardenia applique. 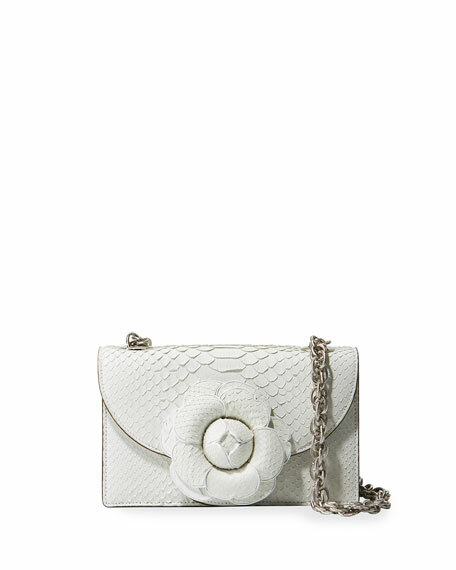 Twisted chain link shoulder strap. 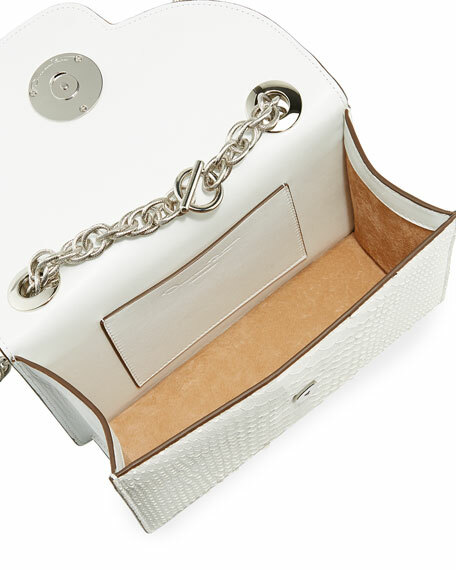 Flap top with hidden closure. 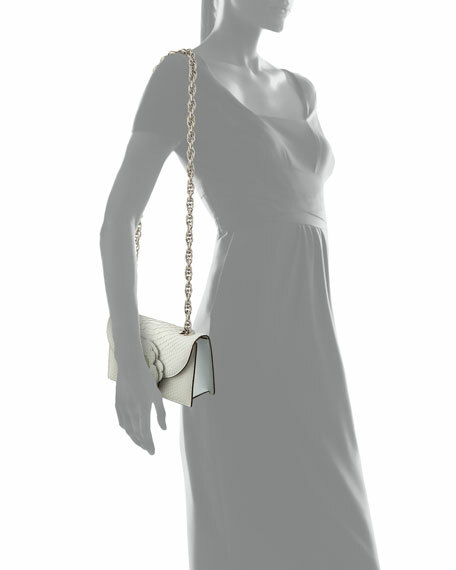 5.5"H x 8.3"W x 3"D.
For in-store inquiries, use sku #2465714.